TheFirst Creek Action Plan 2013 was a consensus vision and framework for action to improve the First Creek corridor. A supplemental map was created to identify key project opportunity areas. In 2011 and 2012, community members partnered with the City, the Puyallup Tribe, the Tacoma Housing Authority and other agencies to develop a vision and action plan to restore and enhance East Tacoma’s First Creek corridor. The effort was led by a Stakeholder Committee representing public agencies, community groups and property owners. The Committee worked with staff and consultants to develop a consensus vision for First Creek, along with a framework for action. Three public workshops were held in 2011 to gather community input. In addition, to support the effort a Forest Habitat Assessment Report was prepared. 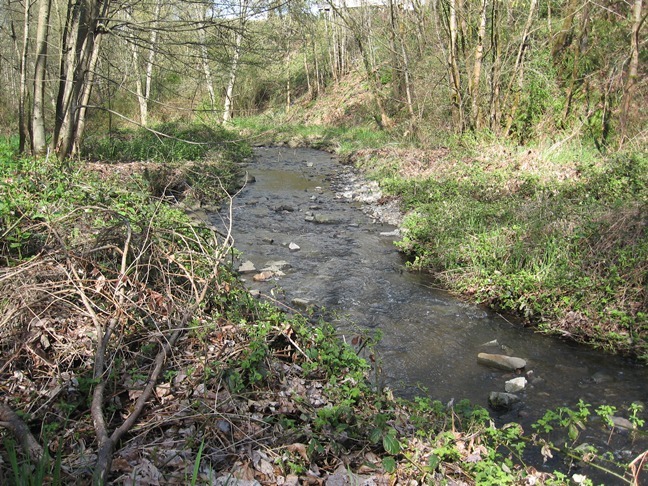 First Creek is a defining natural feature of East Tacoma. It shapes and defines the neighborhood, and has deep cultural and historic significance to the Puyallup Tribe and others. The Creek is part of a drainage basin of approximately 2,500 acres. It is characterized by an abundance of wildlife and vegetation. There is some public access, a mix of public and private ownerships, and serve an important stormwater management function. Over the years, the Creek suffered impacts from both development and neglect. The past few years have seen a change; the community and public agency partners have made significant progress to address problems. Perhaps the most significant milestone was re-branding. For decades the creek was known only as the “T Street Gulch”. Historically, this was the first creek reached when canoeing up the Puyallup River. Community activists promoted changing the name to “First Creek” in order to better identify it as an important community asset. In addition, tons of garbage have been removed, invasive plants replaced with natives, signage installed and more. The Action Plan was a well-vetted community vision for First Creek as an invaluable open space, stream, stormwater, aesthetic and recreational asset. Key objectives included restoring habitat, removing dumped material, enhancing public access and education opportunities, improving water quality, and empowering volunteers. The Plan established consensus on action items over a five to ten year period, and identified the likely public and community partners that could take the lead on each action. It was up to those partners to determine which actions to pursue and then implement. Though implementation was resource-dependent, having a clear roadmap helped all stakeholders make coordinated, consistent progress to achieve the community's vision for First Creek. The First Creek Action Plan intended to build on the momentum established by neighborhood volunteers and activists, and be a communication tool to attract new stakeholders and resources. The city has begun to remove knotweed from the stormwater channel between East 40th and East 48th on the west side of Portland Ave. The area will receive multiple treatments and native plants will replace the knotweed along the banks. Knotweed is a Class B noxious weed. For more information on knotweed click here.